A brand continuing to identify itself with Italian culture, Lamborghini has been providing an extensive lesson of the popular European language through the introduction of their limited edition supercars. The ultra-high performance Superleggera and the concept Sesto Elemento moniker are some of Lamborghini’s latest exhibits of Italian dialogue serving the best interests of motoring. For 2011, a new limited edition Lamborghini Gallardo adds the phrase Bicolore to create another sensation within the most exclusive of exclusive supercar categories. A more mild package than the Superleggera Gallardo or Blancpain edition models, the Lamborghini Gallardo Bicolore tantalizes with the familiar wedge shape. Wearing unique two-tone paint jobs, the Lamborghini Gallardo Bicolore is topped by a Noctis black roof over a Giallo Midas (pearl yellow), Arancio Borealis (orange), Grigio Telesto (gray), Bianco Monocerus (white) or Blu Caelum (blue). Air intakes as well as the front spoiler and rear diffuser are touched with high-gloss black. Completing the Bicolore exterior treatment, lightweight aluminum alloy wheels painted in titanium gray. Rich with flashy exterior charm, the colouring used outside floods the interior. The two-seat cabin of the Lamborghini Gallardo Bicolore is wrapped with the Italian automaker’s “Nero Persus” leather along the door and instrument panels. This special leather upholstery is also formulates the Gallardo Bicolore’s heated sport seats. Back-up camera and navigation system are included standard on this fine, limited edition supercar. Underneath the tampered glass engine cover, the Lamborghini Gallardo Bicolore awakes the 5.2 liter V-10 engine. For the North American elite, they will be receiving an uncomfortable feeling of denial from Lamborghini. While Asian and European markets will receive the Gallardo Bicolore with 560-horsepower being fed through an all-wheel drive system, North American Lamborghini enthusiasts will be limited to only a rear-wheel drive version of the supercar with a slightly detuned engine producing 550 horses. Though not granting the drivers of the continent with the ideal control of four powered wheels, the 550 horsepower launching the Lamborghini Gallardo Bicolore will surge with a more traditional performance feel. All Lamborghini Gallardo Bicolore edition supercars use the company’s e-gear automated manual transmission. To see a Lamborghini standing still is indeed a sight of sore eyes; however when the the Gallardo Bicolore is set in motion, the experience is heart-pounding (like all Lamborghinis). The peak-equipped Gallardo Bicolore with 560 horsepower and all-wheel drive promises 0 to 62 mile per hour times in 3.9 seconds. Top speed rating for the Lamborghini Gallardo Bicolor is beyond the 200 mile per hour range. While the United States versions will have less horsepower and two-wheel drive, performance is not expected to significantly differ. Making a world debut at the Qatar Motor Show, the special edition Lamborghini Gallardo Bicolore is destined for the 2011 Geneva Motor Show in March. 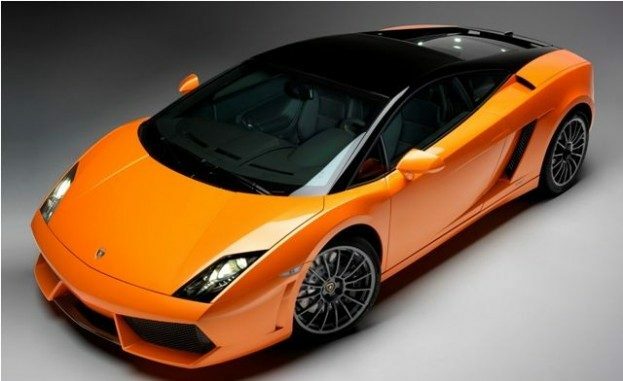 Price and production details have yet to be released by Automobili Lamborghini for the Gallardo Bicolore. 1 Comment on "Lamborghini Gallardo Bicolore Serves Two-Tone Attitude"